Mexican rally driver Benito Guerra is the winner of the 2019 Race of Champions that took place at the Foro Sol, the iconic stadium section of Mexico City’s Autodromo Hermanos Rodriguez. In the final duel, the 33-year-old Guerra defeated Frenchman Loic Duval. Following Team Nordic’s triumph in Saturday’s ROC Nations Cup, twenty drivers raced individually on Sunday for the title of Champion of the Champions. 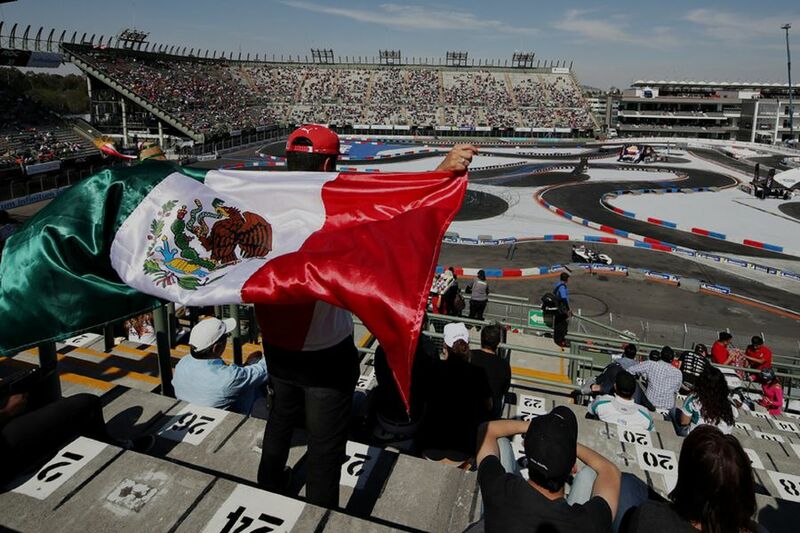 There was a real Mexican fiesta at Foro Sol on Sunday because three Mexican drivers reached the Semi-Finals. Duval was racing against Indy Lights champion Patricio O’Ward in Semi Final 1 while Guerra’s opponent in Semi Final 2 was former F1 driver Esteban Gutierrez. After his triumph, Benito Guerra said: “This feeling is completely amazing. I’m lost for words but I’m really happy. Thank you so much to all the crowds for supporting me, it was a very tough competition. It’s amazing to be competing against so many of the world’s top drivers and I had to face up to so many great drivers along the way, but I’m really happy to be the number one. Sunday’s action started with playoffs and there were some huge casualties before the group stages even began – triple Indy 500 winner Helio Castroneves was defeated by Loic Duval while triple WTCC winner Andy Priaulx lost to Mexican NASCAR driver Abraham Calderon. eROC World Final winner James Baldwin was also knocked out at this stage from his fellow simracer Enzo Bonito while Mexican sportscar great Memo Rojas was beaten by Mick Schumacher. Sixteen drivers were then split into four groups of four, battling for the right to line up in the knockout stages. Tom Kristensen and Pato O’Ward were the best in Group A, what meant that reigning ROC Champion of Champions David Coulthard was unable to repeat his triumph from Riyadh last year. Johan Kristoffersson and Loic Duval both progressed from Group B with two wins each. In the Group C, Benito Guerra and Mick Schumacher were the best, knocking out Sebastian Vettel and Daniel Suarez. Pierre Gasly and Esteban Gutierrez progressed from Group D.
In the quarter-finals, yesterday’s ROC Nations Cup winners Kristensen and Kristoffersson lost out, same as Mick Schumacher and Pierre Gasly.